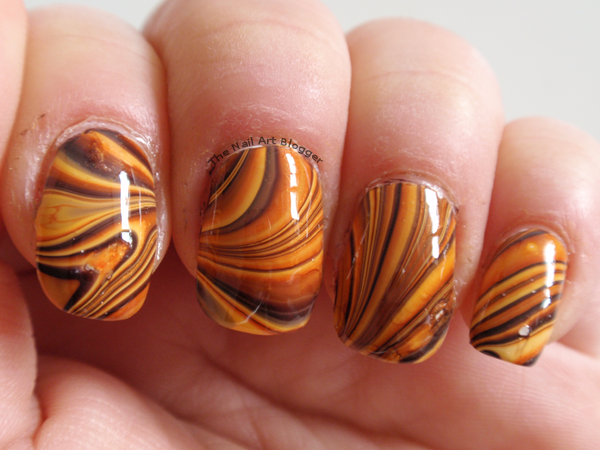 The other day I wanted to do some water marbling, and while I was trying to decide on the colors, for some unknown reason I was thinking "70's". Simply 70's and nothing else. 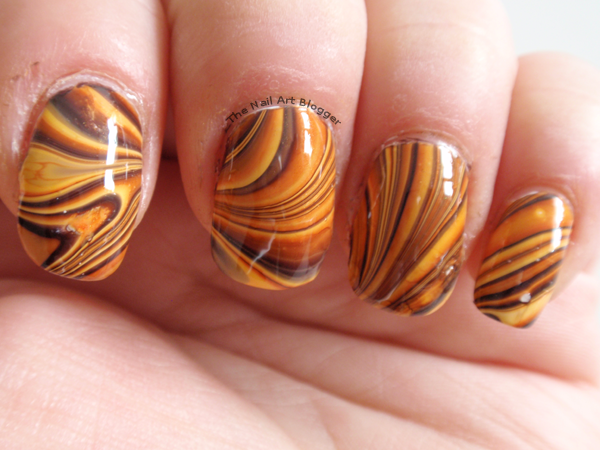 And that was when the color pattern came to my mind, and this water marble was born. 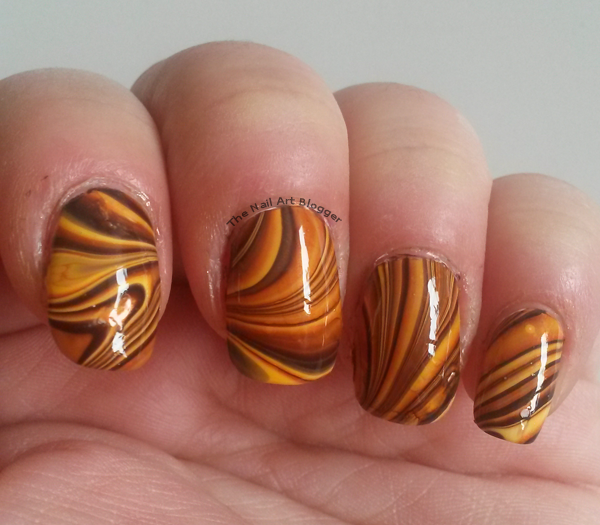 In the end I added a layer of top coat using the nail sealer from Essence. I'm currently using that one as both a base and top coat, and it's working wonderfully. I had a few bubbles that I didn't notice when the polish was in the cup, and only saw them after I had taken my fingers out. They were tiny, so it didn't bother me much. Thankfully I didn't have to redo any of the nails. The color combination really reminds me of the 70's. What about you? Oh yeah, this screams 70's! Great color combination!